MMORPG players are, by nature, an unusually devoted bunch. You have to be to sink hundreds or thousands of hours into a single game. But one thing I’ve noticed over the years is that some games’ communities are a bit more dedicated than most. 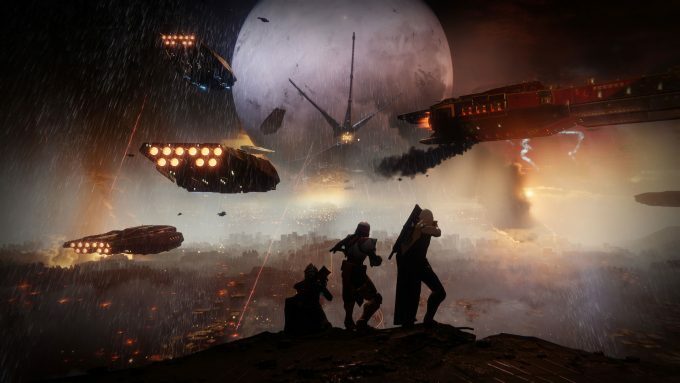 They’re communities that will stick with a game through content gaps or major design blunders, or communities that grow so close they feel more like families. 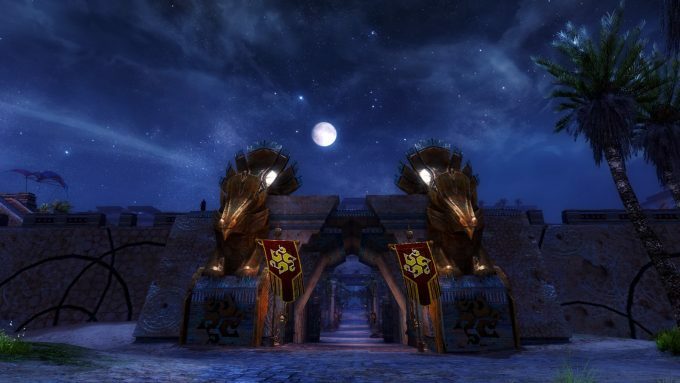 When people talk about MMOs with good communities — especially good role-play communities — one of the first names that always comes up is Lord of the Rings Online. I haven’t spent much time in LotRO myself, but I’ve seen the praises of its community being sung high and low. While the online world is awash in tales of toxicity and harassment, LotRO players are mostly known for being polite, mature, and helpful. 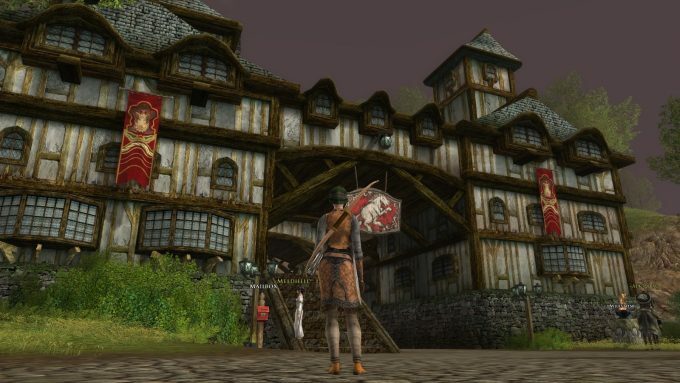 This is most evident in the famed player-run events held in LotRO, which allow players to show off both their commitment to the game and their community spirit. Most famous of these is “Weatherstock,” an actual in-game music festival where player bands perform for crowds of fans. A good community doesn’t just happen. It’s something that has to be built and maintained, and that’s something that LotRO players seem to understand well. They care about their game and its community enough to go that extra mile. EVE Online is one of the most notoriously difficult to pick up MMOs on the market. Most people who try it don’t last more than an hour or two. A lot of people (myself included) never even make it out of the tutorial. Those who survive the initial learning curve do so because they have an intense passion for the game, its deep mechanics, and its cutthroat politics. EVE players are dedicated because their game simply won’t accept any less. 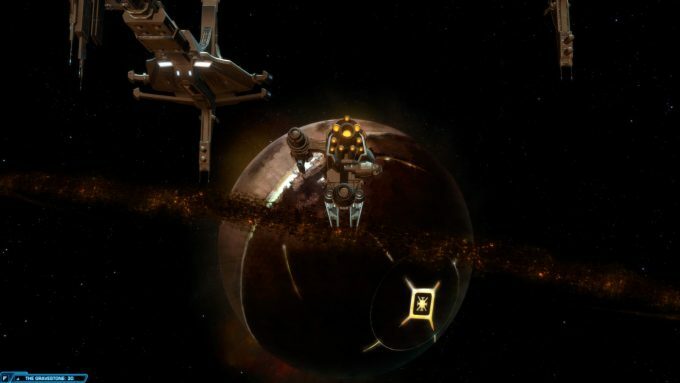 It’s that passion, combined with the game’s anarchic emergent gameplay, that allows the EVE community to generate more headlines than perhaps any other MMO’s players. It seems like almost every other month we get a new story of a major heist, or a brutal gank with a cost equivalent to thousands of real world dollars, or an hours-long battle involving thousands of players. 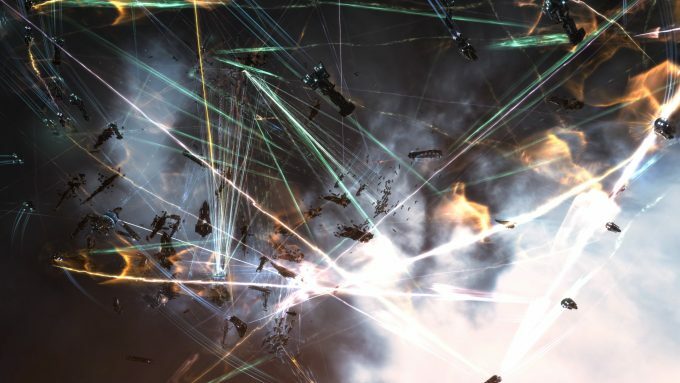 One need look no further than the infamous World War Bee to see what the EVE community is capable of. The EVE community is not always the friendliest bunch, nor the most trustworthy, but their passion and their dedication cannot be denied. How do you know if someone was a Star Wars Galaxies player? Don’t worry; they’ll tell you. 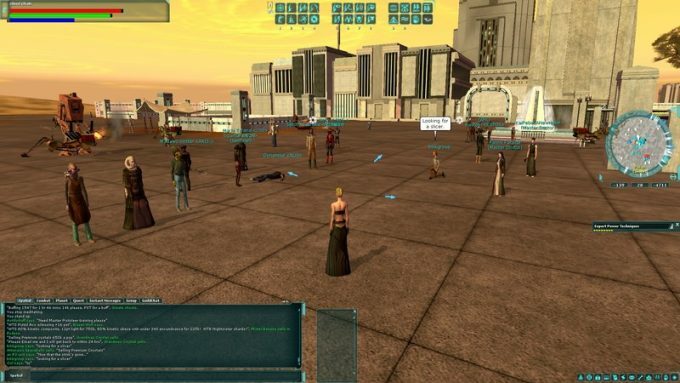 I kid, but it is a fact that to this day you can find no shortage of SWG players happy to sing the praises of what is often considered one of the greatest sandbox MMOs of all time. 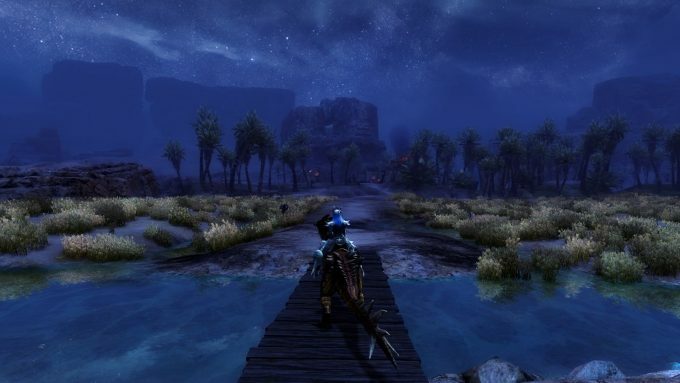 Galaxies players survived two of the biggest controversies in MMO history — the “Combat Upgrade” and “New Game Enhancements” — and continue to keep the memory of the game alive even years after its closure with countless think pieces and nostalgic blog posts, and a thriving emulator community. If that’s not true dedication, I don’t know what is. 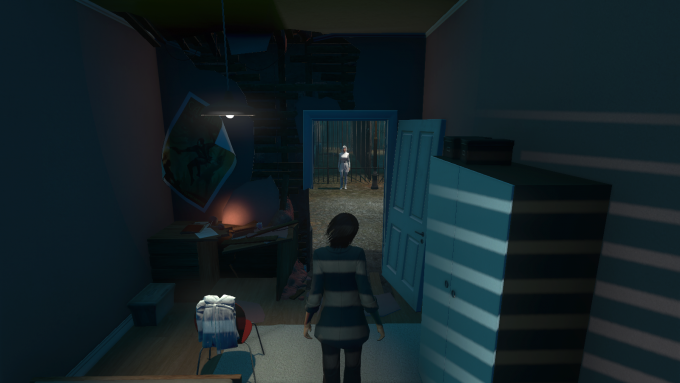 Another dead game whose memory endures thanks to an incredibly passionate fanbase. 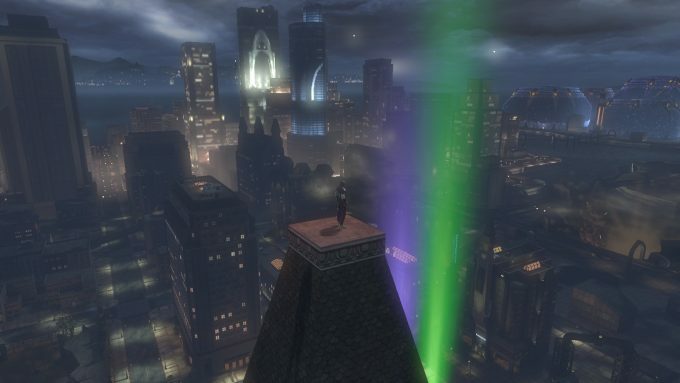 With a strong role-play community and little competition from other superhero MMOs, City of Heroes boasted one of the most tightly knit playerbases in the MMO world when it was alive, and even now that it’s dead, that community endures, albeit in a diminished fashion. 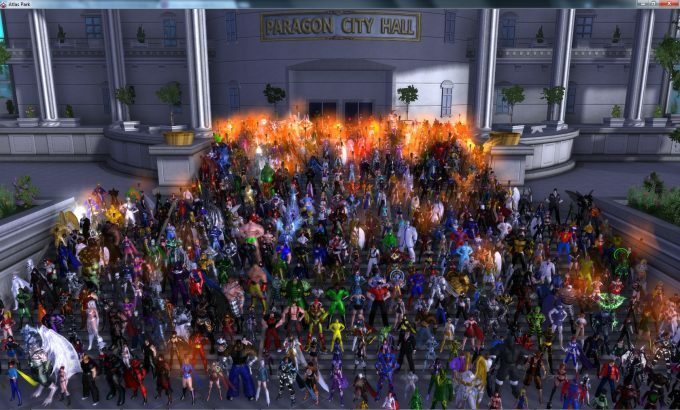 For those who need their City of Heroes fix in a more immediate form, there’s also Paragon Chat. 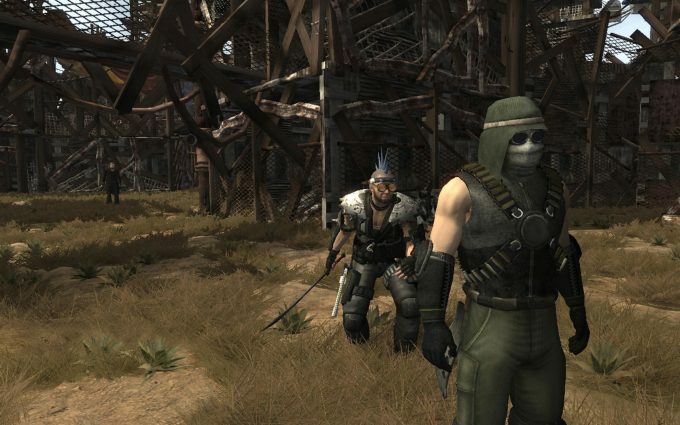 While not a full emulator, it does allow former CoH players to reconnect via a minimalist recreation of the game that includes some of the environments and the ability to chat with other players, though not actual gameplay. The original Secret World was a game renowned for having one of the most warm and mature online communities around. 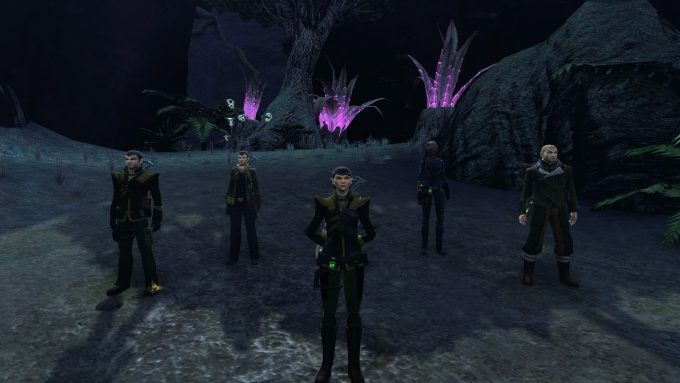 Having been an avid TSW player myself, I always felt that such stories were a tad exaggerated — we still had our share of trolls and elitists — but certainly TSW’s community was a cut above the average. And I certainly can’t deny that they were also among the most fanatically devoted. I shudder to imagine how many hours of sleep I’ve lost delving into novel-length theory threads on the old lore forums. Most communities would not have survived the upheaval Funcom handed down when it rebooted the game as Secret World Legends, and indeed, much harm was done to the playerbase. Many refused to give up years of progress by jumping over to the new game — myself included. But many did make the change, and those that did surely deserve to be viewed as some of the most devoted players in all of online gaming. No one else would have the patience to endure being made to start over from scratch. I don’t know if the TSW/SWL community is necessarily the most friendly nor the most dedicated, of all time, but it is the one that felt most like home to me, and thus it will always hold a special place in my heart. This entry was posted in General MMOs, MMO Opinions, Socializing Online, Top X Lists and tagged City of Heroes, Eve Online, Lord of the Rings Online, Secret World Legends, Star Wars Galaxies, The Secret World on August 6, 2018 by Tyler Bro. In a genre dominated as much by raiding as it is by grinding for that next level, these two revenue models invite two different styles of play. Plenty of discussion has transpired on which is best, with fair reasons on both sides. Genre fans have debated each model’s merits ad nauseam. What hasn’t been discussed is which revenue model fits which social theory best. Until now. I’ll be arguing why free to play mirrors individualism and pay to play mirrors collectivism. What a crazy topic you’re thinking. Social theory on my MMO Bro? This isn’t some Nick Yee gaming science website. Nope, but it’s fun to contemplate motivations and personalities on a deeper level than the game mechanics themselves. So let’s break down each argument separately. F2P players are more focused on themselves. They want the most optimal deal on the market. 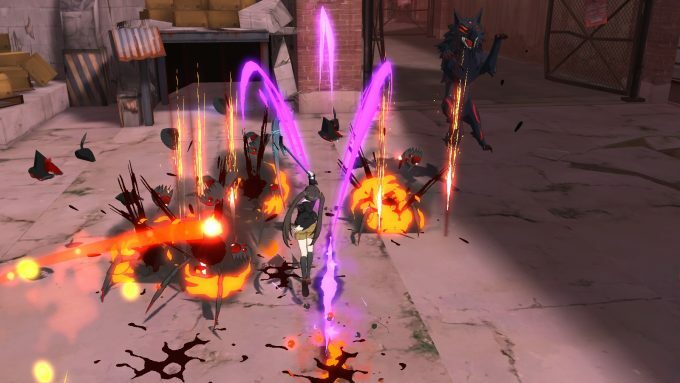 Good free to play MMO games offer fun growth opportunities for completely free players, small spenders, and whales without diminishing the fun of the other groups. However, their low barrier to entry invites very transitory individuals. Without a financial investment, friends will drop as frequently as a theme park roller coaster. Every social list is doomed to an inevitable field of grayed out, offline users. This is because once a free MMO loses it’s appeal to an individual, another substitute awaits. Pay to win also appeals to the individual. A select few may extend beyond that but only just so. An example here would be ArcheAge, where it’s hard even with a deep wallet to drive the narrative by yourself. These create oligarchic scenarios with a few people at the top running the show. Whether paying to win creates a dictatorship or oligarchy of winning, the focus is still on the few. Luckily video games like these aren’t the real world (at least universally) so annoyed players are free to hop off the real world money death train and move on. Whether it’s a fair free to play model or a pay to win model, the individualist social theory persists. F2P players find fun in games in and of themselves. This doesn’t mean they’re anti-social, hate cooperating, or won’t help others. This simply means the focus is first and foremost on themselves. They don’t derive as much satisfaction from accomplishing tasks as a group, but instead seek personal benefits for such activities. Further exemplifying this mindset is the heavier focusing on grinding in a free to play game. Grinding is a low level mental task based on repetition with a reward of powering up individuals. F2P players are more focused on their own growth, choose themselves first over communities, and make independent decisions. Ever heard of the sunk cost fallacy? The more you invest in something, the less likely you are to abandon it. Are you more likely to abandon a game you’ve spent $200 in game purchases and subscriptions fees or one you’ve invested no money? This forms a core foundation for pay to play MMOs as a collectivist draw. Pay to play games want to reward players at the highest level for participating in group activities. Whether it’s raiding in World of Warcraft, conquering Nullsec in Eve Online, or performing trials in Elder Scrolls Online these require near equal participation from a dozen to several dozen individuals. 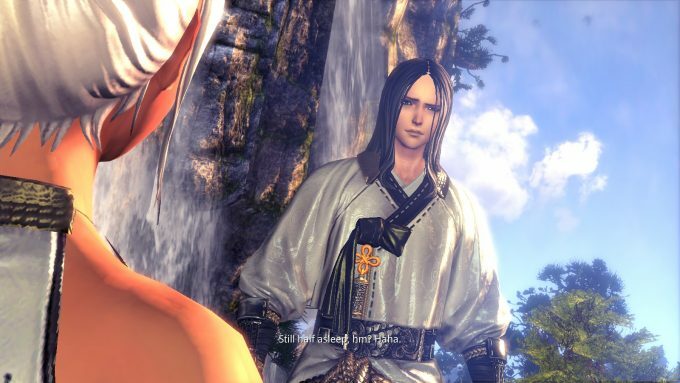 The cooperation and skill requirements in these games exceed the mindless encounters of say, a world boss in Black Desert Online. This forces a reliance on other players to accomplish high end goals. Thus pride in one’s guild or corporation develops as a result of such accomplishments. When someone ponies up for a monthly subscription, they’re typically eschewing other potential time competitors. This gives the community more chances to interact with one another, and thus enhance a game’s gravitational pull. The bonds and friendships that such games create can be difficult to break. Further, players aren’t looking to break these bonds. The friendships and communities that arise from P2P games are the point. MMORPGs aren’t known for award winning mechanics, but their ability to bind people together is unparalleled. P2P players are more focused on community growth, choose community first over themselves, and make decisions with consideration of and from others. Like every rule, exceptions exist. Guilds formed of F2P players jump from game to game like individuals, but their guild focus aligns closely with collectivism. Many individual players get into a game like World of Warcraft for the story, the exploration, or the single player questing. They don’t care one lick about group progression and will pick up group if and only if it’s needed to advance. Life is rarely so simple to completely equate one thing with another. That said, the link looks pretty strong here. Where do you fall on the free to play vs. pay to play preference? 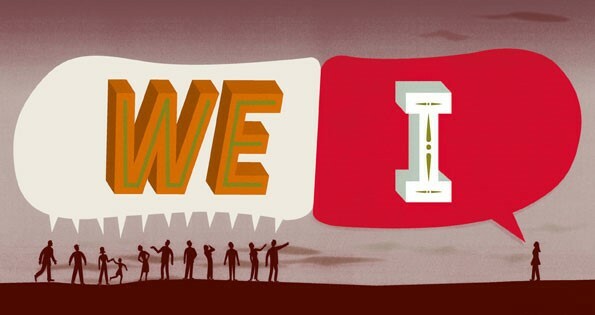 Do you see yourself more as individualist or a collectivist? This entry was posted in MMO Opinions, MMO Social Theory, Socializing Online and tagged ArcheAge, Black Desert Online, Elder Scrolls Online, Eve Online, World of Warcraft on July 9, 2018 by The Bro. This is a collaborative post debating merits of emergent storytelling vs. static storytelling between yours truly and Roger from Contains Moderate Peril. After reading this, make sure to check out his side of the debate! 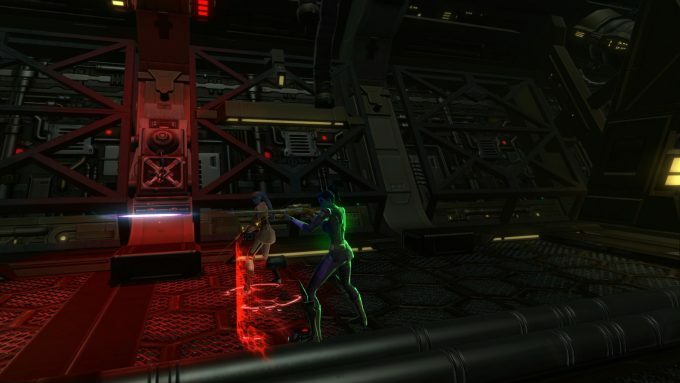 When it comes to MMOs, emergent storytelling is king. Don’t get me wrong. I love a good static story. The choice driven narrative in The Witcher series is as compelling as the linear experience of The Last of Us. For a single player game, it’s still the way to go. 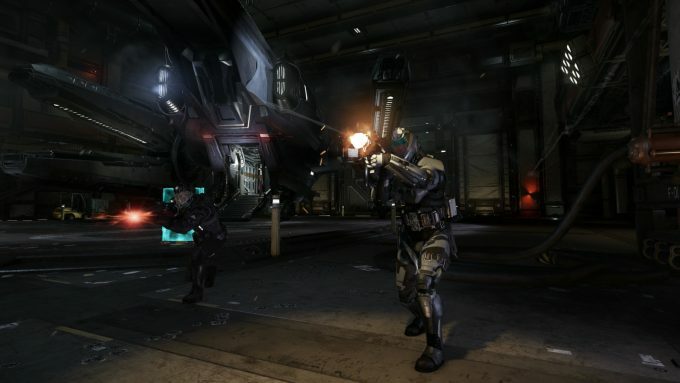 Emergent storytelling is improving for single player games like future XCOM-like releases, but they still pale compared to a hand-crafted story. The reason for this is single player games lack the human component. We’re still not close to AI that can mimic humans. But if there’s one thing that existing MMOs don’t lack it’s people. It makes the genre what it is. Think about the most memorable stories in MMORPG history. Lord British’s assassination in Ultima Online. Felling the Sleeper in EverQuest. World of Warcraft’s Corrupted Blood plague. Eve Online’s heist (and basically everything else in that game). For MMO-lites, Rust has long been a source of entertaining stories. These events are so special that they transcend the worlds from which they originate. The common denominator between them is players using (perhaps abusing) the game system in unforeseen ways. You literally can’t make this stuff up. That’s the potential of emergent storytelling. It’s true that to fully experience emergent stories, you need to be there when the event occurs. For the regular person, that’s not feasible. Gamers also work or go to school and can’t be available for something cool that’s happening in a video game. Fear of missing out affects a lot of people, given how many choices we have for entertainment. Playing a game where that’s a constant threat can be stressful. The flip side is that every login, it’s possible you will experience something memorable and unique. Maybe you’ll even be the one to initiate it. There’s no end to the storytelling in an open-ended system. Contrast that with a static story that will eventually end, and I think it makes the risk of “missing out” completely worth it. Most of the events also tend to revolve around loss of some kind. 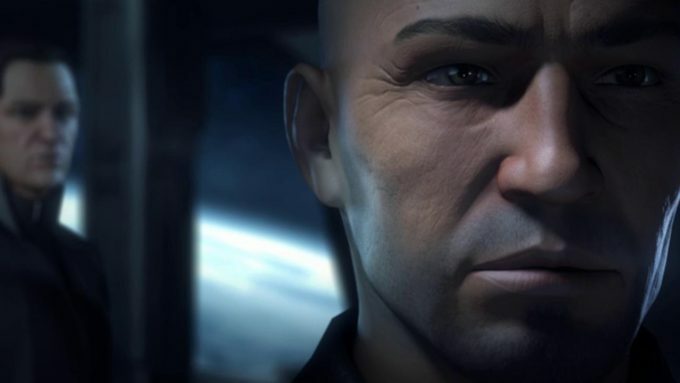 Eve Online makes news based on espionage or massive wars, leading to the loss of property for players. Even the family friendly World of Warcraft’s most newsworthy happenings revolved around a nasty plague and disrupting a funeral. These are the things that make headlines – but I think that’s because MMORPGs have largely relied on PvP for emergent gameplay thus far. Non-MMO multiplayer games, like Minecraft, have demonstrated that players can impress us with cooperation as much as with conflict. Unfortunately, MMORPGs in that realm (like Landmark) haven’t made it very far. And in terms of PvE gameplay, public quests in games like Guild Wars 2 and Rift have been too predictable. Ultimately, there is a lot to be gained by emergent gameplay. The point of the above is to show that thus far developers haven’t gone far enough with it. 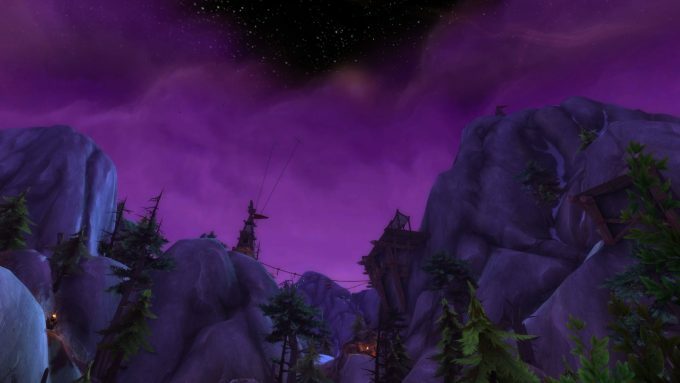 World of Warcraft blew everything up with its focus on solo play and quests. MMORPGs are expensive to produce so that’s been the blueprint for a decade. 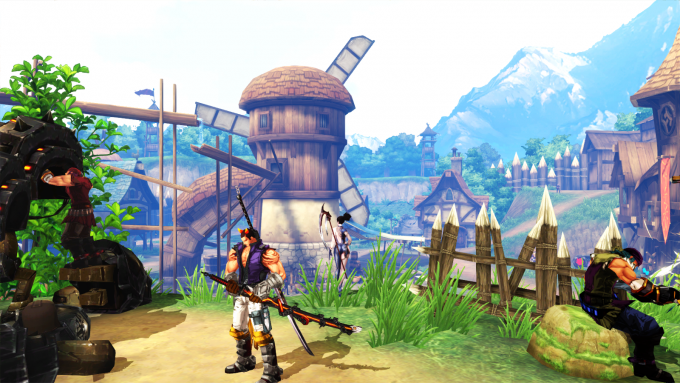 Thanks to the beauty of crowdfunding though, developers can now take risks to differentiate. MMORPGs like Star Citizen, Crowfall, and Chronicles of Elyria will (hopefully) deliver some exciting emergent options. The core element is focusing on freedom of choice. I realize that’s easier said than done. The balancing element that also narrows the scope is consequence. Everything is possible, but everything has a price. It’s from this choice and consequence that people create these memorable narratives. 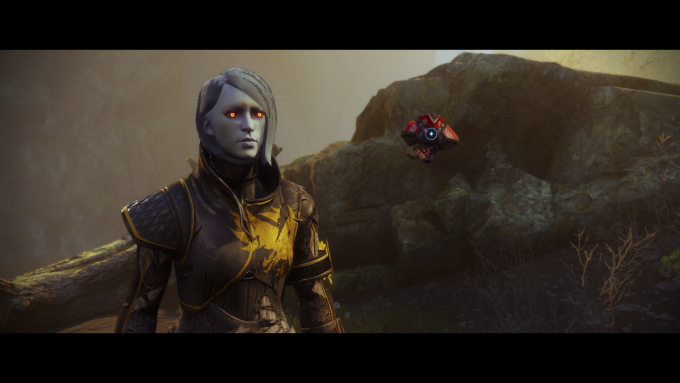 Whether MMORPG developers like it or not, people play pivotal roles in storytelling both by their absence and their presence. 1) Absence – AI is predictable. Predictability does not lead to good stories. Good static stories circumvent this through scripted events to weave their tale. The problem is that these events work in isolation. When players are running around the world, that changes the experience in unseen ways. The absence of real players is usually critical for the storyteller to deliver their goods as intended. But MMORPGs are not solo affairs. Why focus on stories best experienced alone when the medium itself is built around multiplayer? 2) Presence – Humans are anything but predictable, especially when relatively minor consequences and internet anonymity gets thrown into the mix. MMORPGs should use this to their advantage. 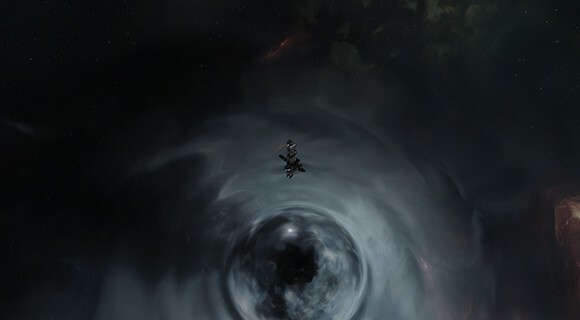 I’d argue that playing Eve Online is boring at best, but experiencing Eve Online’s multiple PvP systems is thrilling. Give players the tools, and they’ll create history. Again, just look at the massive success that is Minecraft and all of its copycats. Whether it’s building and destroying or cooperating and conflicting, it’s the people that make the MMO genre what it is. Even language itself changes in unintended ways thanks to the players. 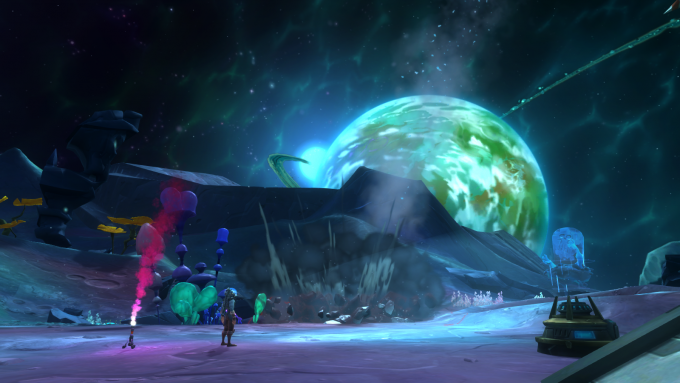 MMO first timers might be overwhelmed by all of the genre’s jargon. It can feel practically like a foreign language. What’s cool is how this language naturally evolves to create terms or abbreviations that didn’t exist prior. Language may not be flashy, but altering the way we communicate fascinates me. And we have MMO players to thank for that. I’ll close saying that games like Lord of the Rings and Star Wars: The Old Republic offer good stories, but I’ve never seen them talked up besides from those who have experienced them. By contrast, I do see single player stories talked up. That’s all because it’s a strength of that focused medium. I say leave static storytelling to those single player games and push MMOs to invest in systems that allow players to tell their own stories and build their own legends. MMOs were built for emergent storytelling. Like any good debate though, there’s always another side to the story. Check out Roger’s discussion in favor of static storytelling at Contains Moderate Peril. 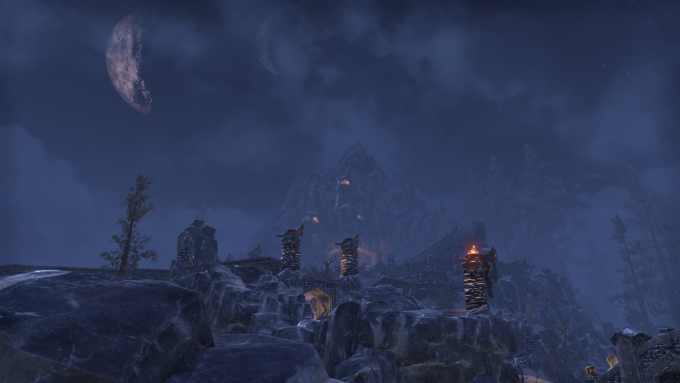 This entry was posted in MMO Opinions, MMO Rant, Online Co-Ops, State of MMOs and tagged Chronicles of Elyria, Crowfall, Eve Online, EverQuest, Guild Wars 2, Rift, Rust, Star Citizen, World of Warcraft on December 1, 2017 by The Bro.